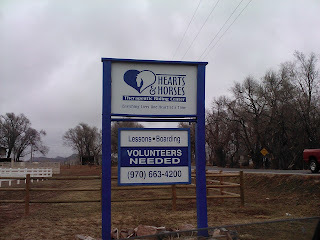 I spend one day every week volunteering out at Hearts and Horses. 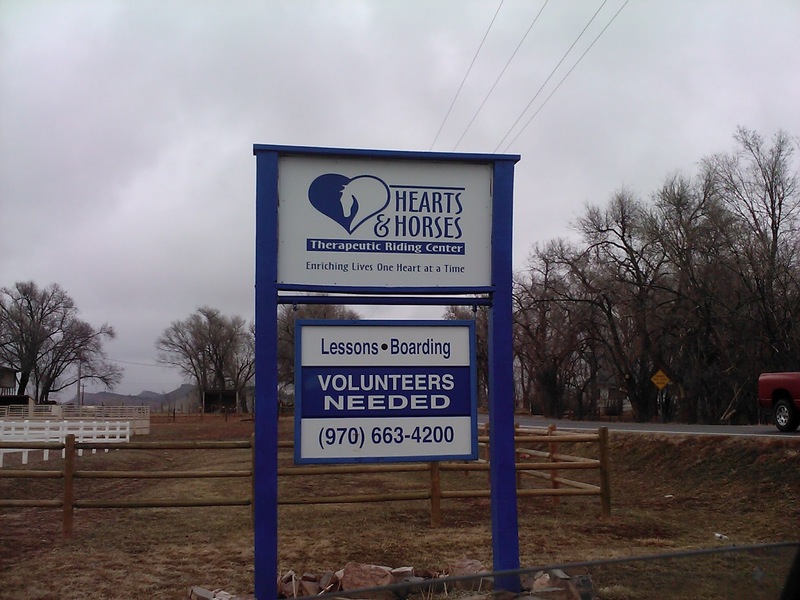 It's an organization in Loveland that does therapeutic riding. They work a lot with disabled children, but also with veterans, troubled youth, and children who have lost parents. On the side they board some horses and teach regular riding classes. It's a really neat place and I am glad to be a part of it. 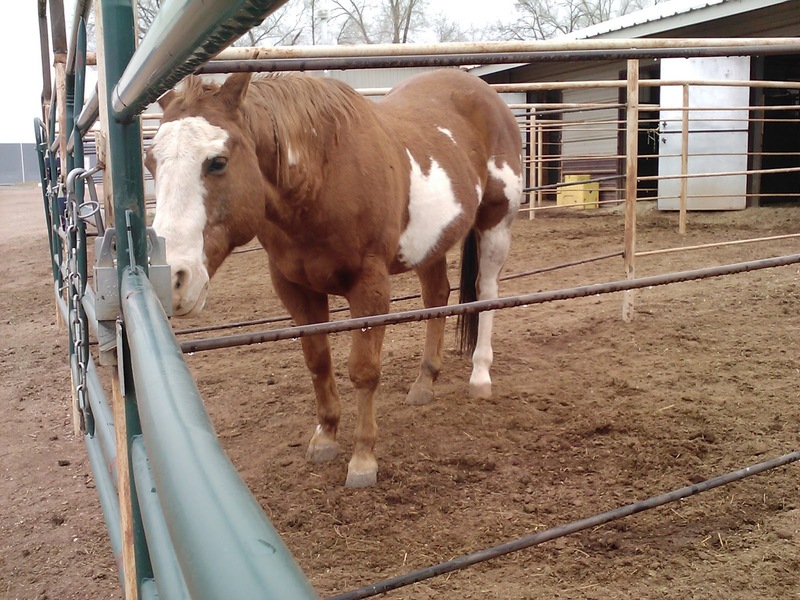 Right now I just muck stalls and the attached runs. I imagine at some point or another I will be cleaning out paddock areas as well. I have to say, it's hard work! It's been a long time since I have done anything like it. I come home sore, with dirt in my lungs, nose, mouth, eyes, and clothes, I reek of horses and barn dust, but I am SO happy! 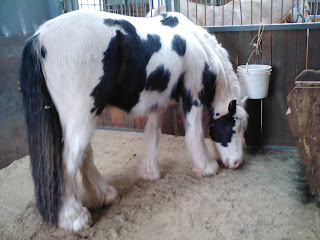 I love being around the horses. I haven't gotten comfortable with the people yet, but most of them seem nice enough. When I am more comfortable, I suppose I will take some more of their required classes and work with people. Maybe. As it is, I will do just about anything if it means I get to be near horses. This little guy is Simba. 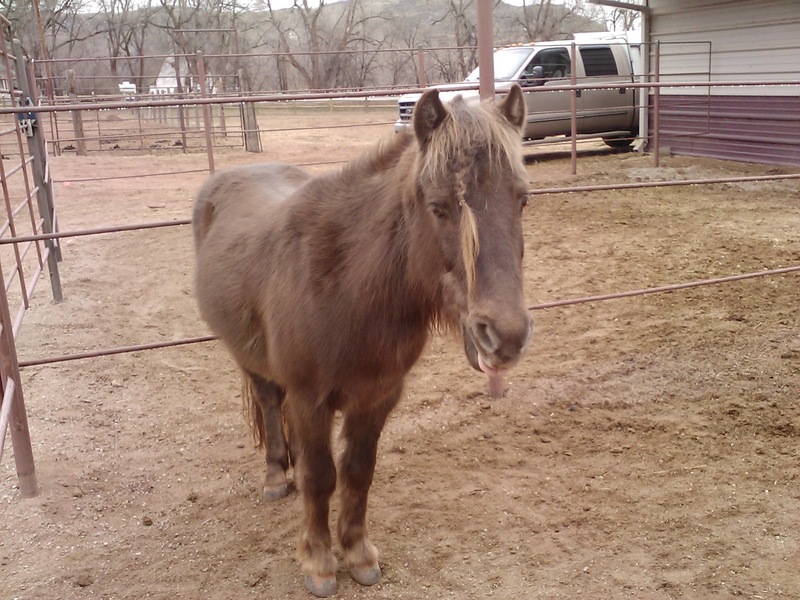 He is some sort of pony and he is adorable! Yes, he is a therapy horse, er, pony. For a pony, he is very mild-mannered, but he seemed to be wary of my manure rake so he didn't want to get too close to me. He has the cutest ears! Overall, a very satisfying experience! I look forward to being out there more. 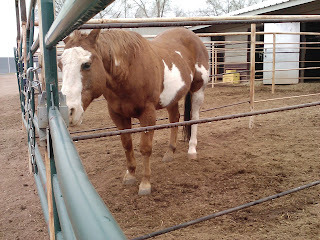 And to being buff, 'cause mucking stalls and sweeping barns is a great workout!